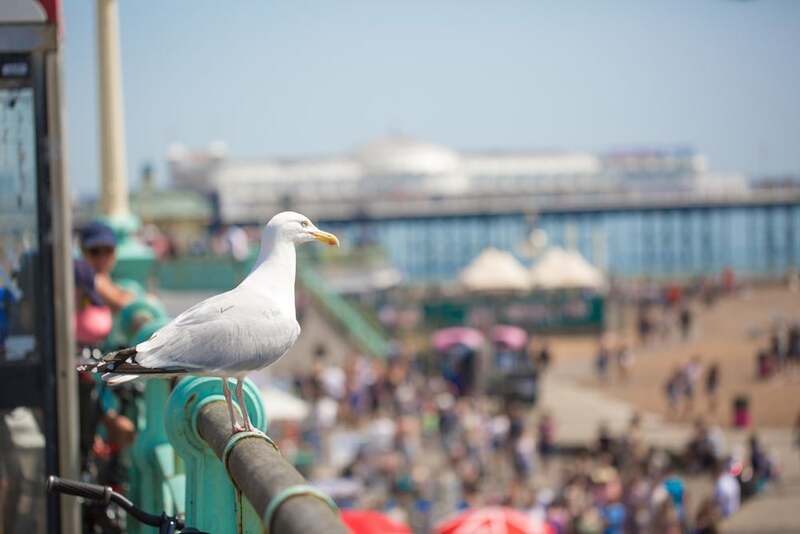 If you were to ask most people what the best thing about Brighton is, most would say the beach – or Brighton Beach. Brighton beach has seen many changes over the years. From the tourism boom of the Victorian times, mods and rockers of the 60’s and the modern-day pride parades; the beach has been the focal point of many visits to the city. It is one of the most popular stretches of seaside in the country, and anyone who has spent a summers day there will be able to confirm why. Brighton beach offers beautiful sea views, with the glory of the Palace Pier and crumbling beauty of the West Pier in comparison. With plenty to explore and look at it is no surprise that the beach is one of the top tourist spots in the UK. 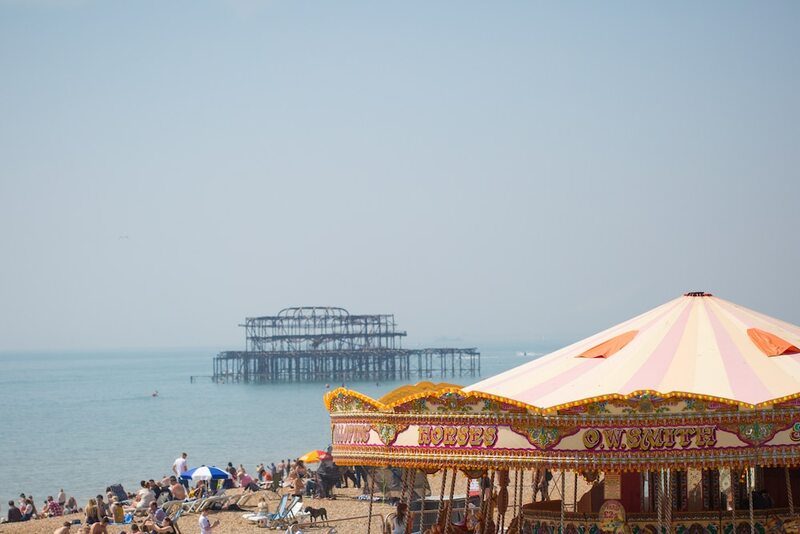 The arches along Brighton beach are home to many traditional seaside shops and food retailers. This enviable location brings thousands of people straight to your doorstep, and with so much to choose from it can be difficult to settle on where to visit. One of the most popular spots is the bar-bistro Oh So Social which is often packed with people day and night. 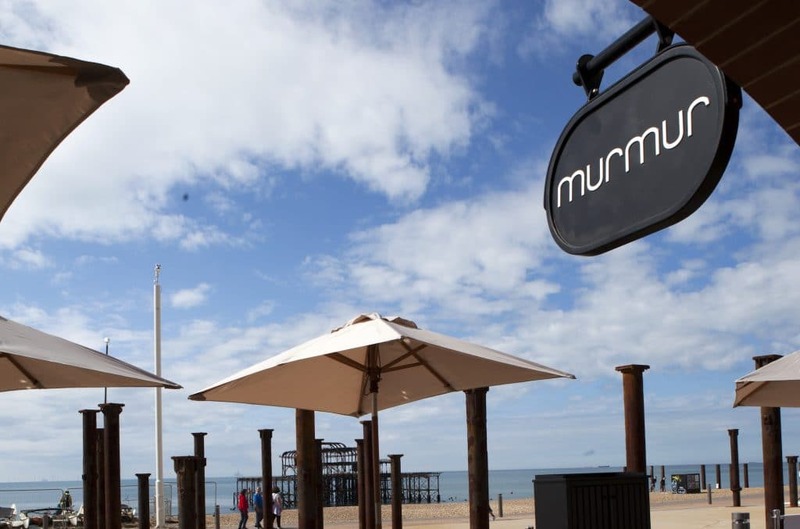 Walk towards Hove and you will find the crowds starting to thin out and some fantastic restaurants such as The Copper Clam, Murmur and The Flour Pot Kitchen. You will also find it impossible not to notice the British Airways i360 which has its own venue called the West Beach Bar and Kitchen. Step up onto the promenade and you will escape the immediate crowds of the beach front but still benefit from the wonderful views on offer. The Kings Road runs right from Hove to the Pier, making it a wonderful spot for an evening stroll as the sun goes down over Brighton beach. 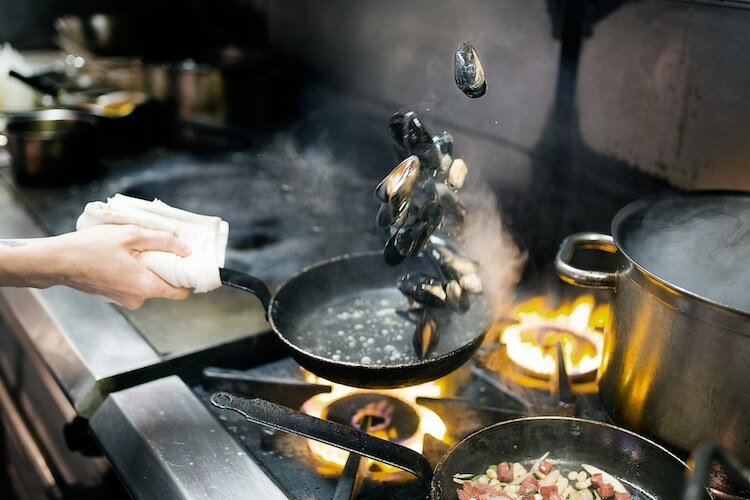 With many of the city’s top hotels located along this stretch you have plenty of options to stop off for a bite to eat or drink. 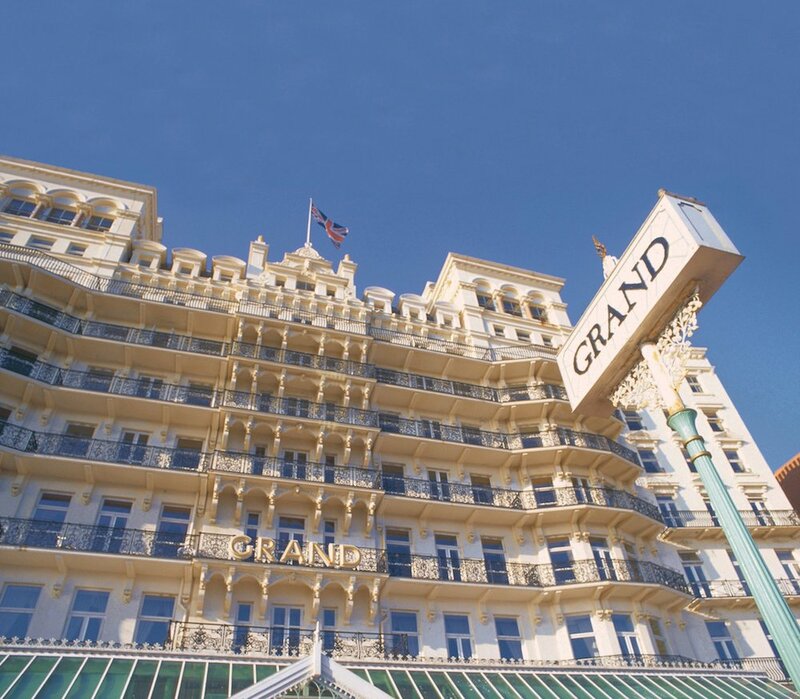 GB1 restaurant at the iconic Grand hotel can be found here or The Jetty at the Harbour Hotel for something newer. The Salt Room is one of the most talked about restaurants in the city, and there are few better spots to enjoy the sunset than on their terrace. 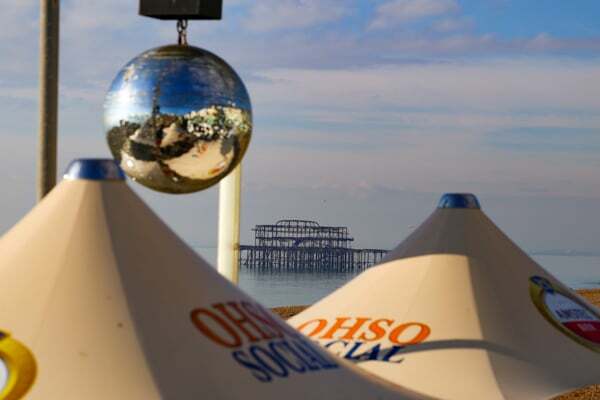 Brighton beach is a truly beautiful area, and makes the city what it is today. Spending a day listening to the waves crashing onto the pebbles is as relaxing as it comes, and best of all you are still just a few minutes from the centre of town with its many bars and restaurants. 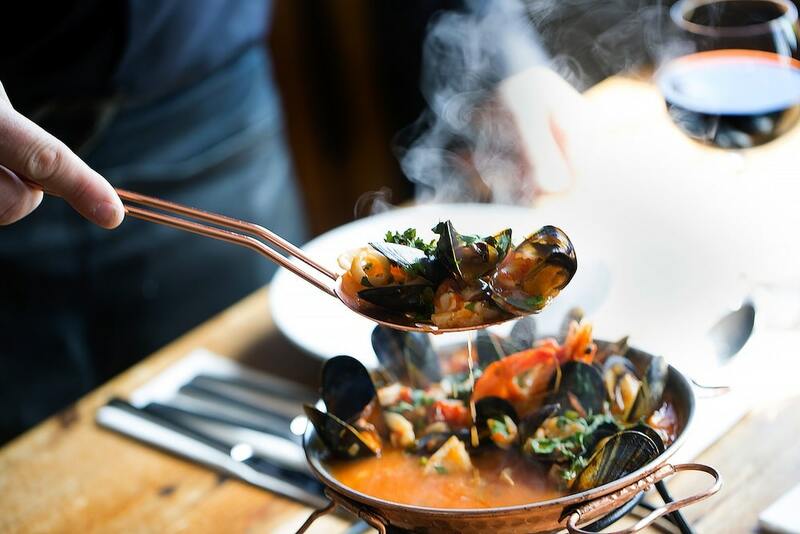 If you cannot drag yourself away from the sea, then Brighton beach has its own variety of pubs, clubs and restaurants making it a destination of its own both day and night.